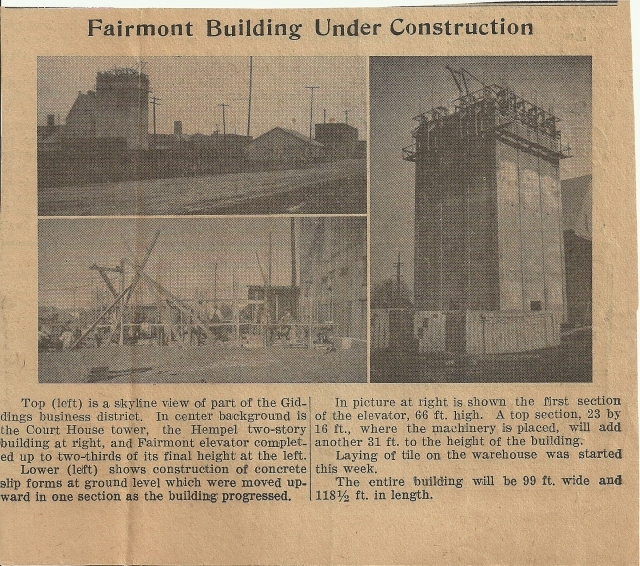 The Fairmont Foods Co. elevator that Tillotson Construction Co. built in Giddings, Tex., around 1945 became the hub of a busy and diverse agricultural service, one that had started a decade earlier. As part of its Giddings operation, Fairmont, of Omaha, Neb.–just like Tillotson Construction–ran the largest turkey dressing plant in the Southwest. Every year, over 200 carloads shipped from here for the Thanksgiving and Christmas markets. During other parts of the year, the dressing plant stayed busy with chickens destined for such grocery chains as Weingarten’s, which in 1951 had twenty-five stores in Texas, Arkansas, and Louisiana. Besides the poultry dressing, Fairmont processed eggs here and had a locker plant described as “huge” in the June 13, 1974 centennial edition of the Giddings Times & News. A hatchery and feed-mixing plant completed the operation. Fairmont Foods Co. has announced the sale of its feed mixing plant in Giddings to the Nutrena Mills, Inc., of Wichita Falls and Minneapolis, Minn.
Change of ownership will take place officially about July 15. Nutrena is one of the nation’s oldest and largest feed manufacturers. Nutrena feeds are distributed in a 24-state area from the Rocky Mountains to the Southeastern coast and from Canada to Mexico. Fairmont Foods recently observed the 20th anniversary of their opening in Giddings. Fairmont officials emphasize that they will continue to serve their customers with the poultry processing plant. The former site of the Fairmont Building has been paved over. Photo by Ray Kirchmeyer. In 1966, Nutrena remodeled the offices. But few traces of the operation remain today. 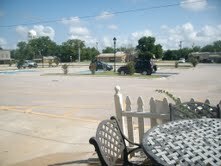 Tillotson’s Fairmont Building was demolished, and a bare parking lot is found at the site. Special thanks to Ray Kirchmeyer for providing the photo and historical documents. This entry was posted in Their Work, Tillotson Construction Company and tagged architecture, Business, construction, Giddings Texas, grain elevator, slip-formed concrete, Tillotson Construction.